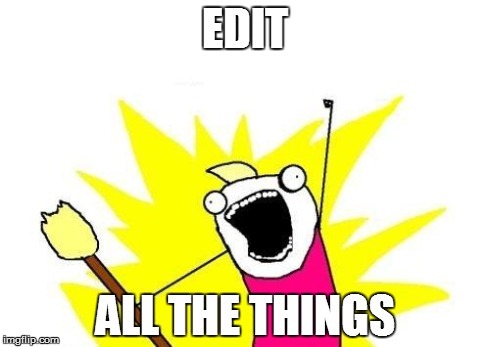 Tomorrow is the second anniversary of my full-time copyeditor status! Woo! This entry was posted in Blog, General Announcements on May 22, 2015 by Science Refinery (Lauren Meyer). My first paper from Africa! I edit for many authors for whom English is not their first language. I’ve been keeping track of their countries of origin and first languages over on the Why Choose Science Refinery? page. Until now, I’ve done lots from Europe, Asia, and the Americas, but today I’m editing my first work from Africa (Angola)! Now I’ve edited something from every populated continent (that is, if you’re one of the people who count the Malay Archipelago as part of Oceania rather than Asia; if you’re not, I’m looking to you, Australia and New Zealand!). Cool. This entry was posted in Blog, General Announcements on December 10, 2014 by Science Refinery (Lauren Meyer).